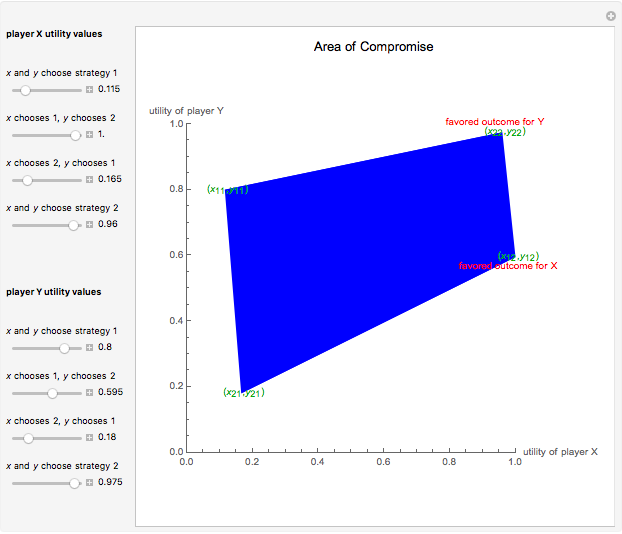 This Demonstration shows a geometric representation of a two-person 2×2 cooperative game, where the players have two strategies to choose from and can discuss how to play the game before it starts. The shaded area of compromise is the set of all possible outcomes for the game. 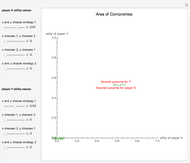 These possible outcomes are displayed in coordinate form in terms of utility (the amount of satisfaction experienced by a player, with 1 being most favorable and 0 being least favorable). 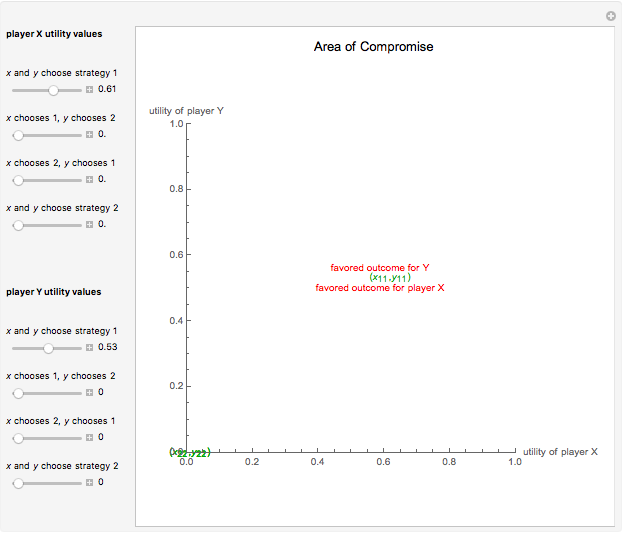 If the players X and Y have the same point as their favored outcome, they should both follow the corresponding strategies. 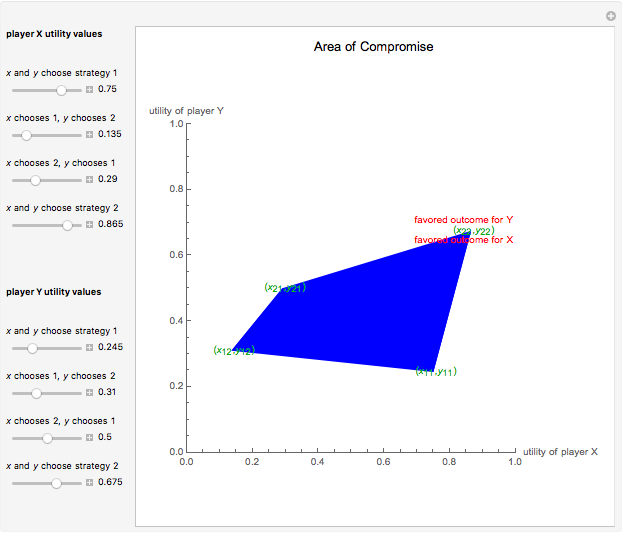 If the players have different points as their favored outcomes, the point of compromise lies on the line segment with endpoints as the favored outcomes of players X and Y, respectively. While this Demonstration involves linear utility functions, it is also possible to have nonlinear utility functions that are not necessarily orthogonal over the solution space. R. D. Luce and H. Raiffa, Games and Decisions: Introduction and Critical Survey, New York: Dover Publications, 1989. Darren Edmonds "A Simple 2x2 Cooperative Game"